Our church had this large chair sitting in the front of our church for a couple of months and they decided to discard it. 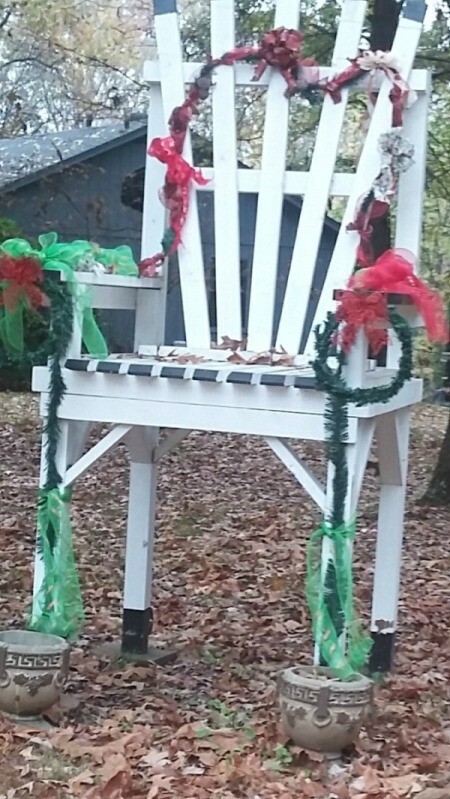 We brought it home and put it in our front yard and I have it decorated for Christmas. I also put other items on it in the spring, summer, and fall. It is certainly a conversation piece among the people in the community. People will slow down as they drive by our home to look at the big chair. We've also had families to bring their children to our home and have their pictures taken in a big chair.